Afternoon all the sun has come out and we have managed some gardening! 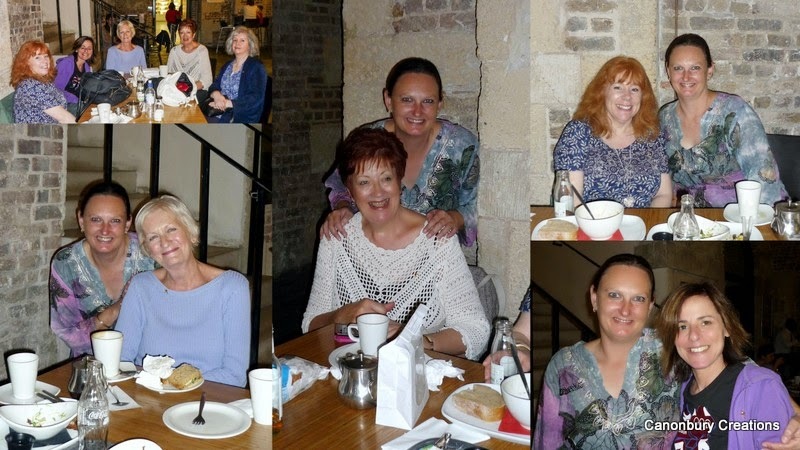 We had a fairly relaxed Easter weekend, met friends for a Turkish meal on Saturday but the icing on the cake was Monday when I went up to London and met some blogging friends from around the country and OZ!! Kylie who runs Addicted to Stamps and Addicted to CAS came over from Oz and stayed with Sandie, one of her design team and arranged for us all to meet up for lunch. 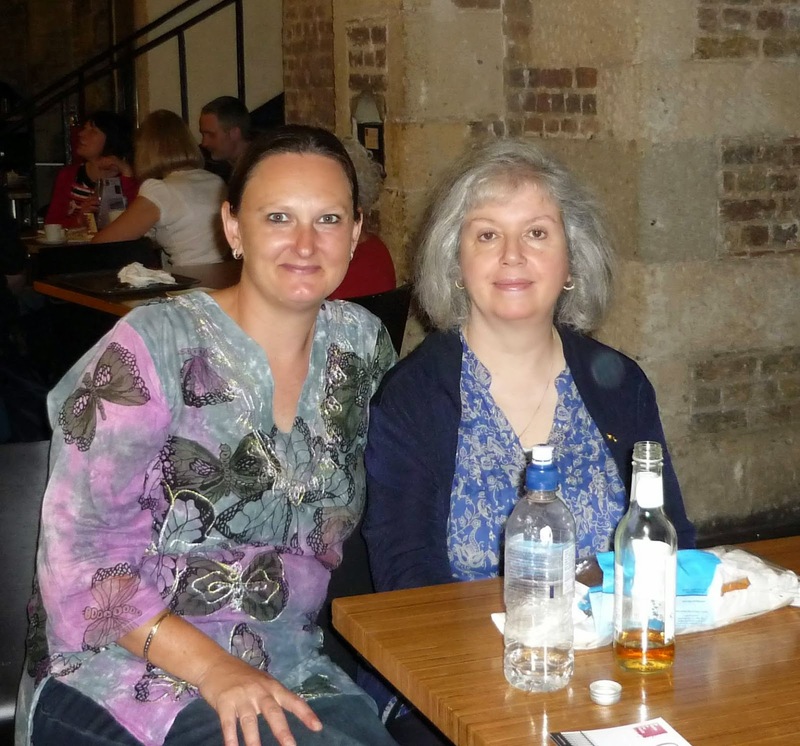 We spent a few hours chatting and lunching in St Martin's crypt as if we had been friends forever:) We had a few photos, of course, and they are at the bottom of this post! We have another theme for you this week. It's simply that... something that makes you smile. It could be something cute, pretty, humorous, or merely a technique which satisfies you and makes you pleased with your finished article. SO... lots of scope, but we'd like you to tell us the reason for your choice! Monika was also there but I can't find her photo!! Hope I haven't bored you with all these photos! Your card made me smile too Val - great choice for the LIM challenge! It was great fun to meet up in London, with you and the girls. Looks so good Valerie! A very nice card in lovely colours! A fun image and even funnier sentiment, a great match! I really like this card! Val, your pictures are wonderful! Hope your Easter was grand, and what a really fun and cute card! The hat sentiment is really fun too! That is certainly a card to raise a smile - love it. How nice to meet up with like minded friends for a day out. hee... what a great card, val! love the bright colors!! so fun you got to meet some crafty friends!! How lovely to meet up with your bloggy friends Val... your card is fab too! A great card, the image did make me smile.